So I was having a bad day yesterday. Let me set the stage though so you understand why I was having a bad day. A few days ago I happily came home from dropping off some dinner and I find my hubby in the garage looking concerned. He tells me (with a touch of fear in his eyes) that he got a package in the mail while I was gone. It was something he had ordered. Something expensive. Something he neglected to mention to me before he bought it. So much for feelings of superiority. Every time I see the stupid thing it just irritates me. I am thinking evil thoughts and grumping around the house and feeling pretty sorry for myself with my ill fitting clothes and my bad hair and then it comes to me. AH- HA! I know what will make everything alright. You know I used to be one of those women who didn't care about purses. It wasn't that long ago that I saw women with their nails done and a big flashy purse and I felt a mix of pity and disgust for this woman who obviously cared too much for things that didn't matter. I would stroke my hippie-dippy pride and note that I certainly didn't need those kinds of shallow things to bring myself happiness. I KNEW what really mattered. Then one day I realized that those other women just had awesome hand bags and perfect looking fingers and a smile on her face and I should shut the heck up and GET ME SOME OF DAT. Yeah. I want some. Oh yeah, and I realized what every other woman in the world already knows- ACCESSORIES STILL FIT AND MAKE YOU FEEL PRETTY AFTER YOU HAVE A BABY. DUH! I head out the door with a laugh (cackle?) whilst the poor hubs mumbles something about me having a twisted sense of humour. I head for the local Kohls. (Did I mention that I live in one heck of a small town? Well, I do.) And HORROR of HORRORS- they are locking the doors. No go. BUT- all is not lost! ROSS is open. Now, generally I don't enter ROSS because, as you know if you have ever been there, they have a very strange policy. The policy is this: if you don't like something, feel free to just toss it on the floor when you are done with it. So the floor of ROSS is littered with weird sized, neon colored, cast offs that some schmuck couldn't find the time to re-hang. If I want to go to a place like that I could just stay home with my four kids and let the fun begin. But- I need a purse I don't need and this is my last option in hick-ville. Sweet MOTHER- all the purses though at ROSS are ugly. Another shocker. Dismayed, tired, purse-less, I head for the door. I finally get home. It is late and I have a sticky face but no purse. Somehow though, I feel better. I am still planning on getting my purse on Monday. And I remembered something. The last time hubby bought something without mentioning it to me beforehand it was a car. I guess I should just feel grateful. And yes, after years of student debt and wondering how we would pay for stuff, it has become painfully obvious that money DOES in fact buy happiness because money buys purses. The only people who say it doesn't are just mad they have an ugly purse. Disclaimer- (Yeah, you know I need one.) I know that you are probably just DYING to give me marriage and/or financial advice at this point. Really though, hold back. I just want to complain. And we have been married for almost 13 years so maybe we have learned a few things. Also, YES I realize that I am pretty lucky because I have a car and fingers and all that stuff. I know I sound like a spoiled, western, diva. I actually look kind of grungy and like I could get chosen for "What Not To Wear" at any given moment. "money DOES in fact buy happiness because money buys purses." HAHAHAHAHAHAAAAAAA!!!! LOVE IT!!!! I am obsessed with purses, so I TOTALLY understand. I love you. That's it. Yes, new pretty things do make happiness! I lilkely will never be allowed into the hippie, natural mommy crowd because I own a (few) embarrassingly expensive purses. And I like cute haircuts, and makeup, and shoes. But I also like cloth diapering, breast feeding, unmedicated birth, and baby wearing. I figure even if membership is never offered, at least we can all be friends right? And no advice here, I have a nutso relationship with my husband too. Somehow it works or us. You brought a smile to my face. :) You're sooooooo right about accessories... That's it, I'm going shopping! I love reading this blog because I can SO relate! LOL!! We have no extra money and I'm on unemployment, and my husband bought a NEW Motorcycle!! Actually..he rented it for a day, because that thing went right back. But Seriously?! This is a good one! Thank you for the honesty and a good chuckle. I love that you are all about natural birth but go to McDonald's. 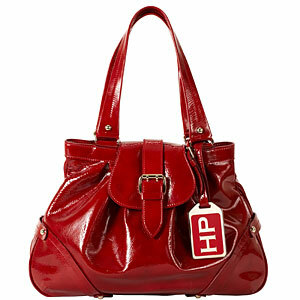 Anti-medical marijuana but pro sweat shop purses..wacky! I'm not being sarcastic, either. You're really funny and totally entertaining. Your blog is great. Rose and I are best friends now. And are you freaking serious? They make purses in sweat shops? I was too busy not sleeping and worrying about rent to know that. DANG! And for the record, I can't eat the food at MickeyD's, I just like the ice cream cones. I guess that is food. You know what I mean. Now I'm curious! Did you ever get your purse? Oh yes, I got it. Okay we need to see the said the purse. We (I) need proof and I want to judge you based on your purchase. I too enjoy a closer to plastic dipped cone from McD's while I make sauce with my homegrown tomatoes and fresh herbs. I think that I'm awesome, I you should know that I bought my purse at ROSS and it was on the floor!!! HAHAHAH !! never in my wildest dreams would I have thought that someone would blog about that!!! Love it! !